DearEditor.com’s Revision Week continues with award-winning author Mark A. Clements. 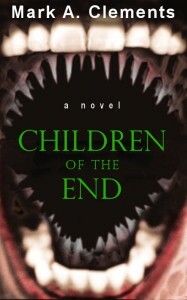 In addition to being a horror and suspense novelist, Mark has ghostwritten numerous books, giving him a distinct view of the revision process. Please join Mark and The Editor for Day 5 of Revision Week, and find out how to win today’s “Free Partial Edit” from The Editor. 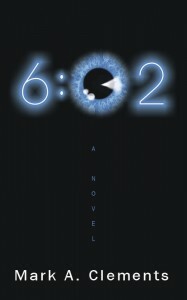 Mark A. Clements’ first horror novel, 6:02, was nominated for a Bram Stoker award. 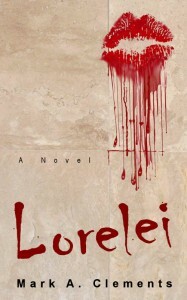 It was followed by the horror mystery Children of the End and the mystery thriller Lorelei, both of which received multiple nominations and awards. Mark’s The Land of Nod earned the Theodore S. Geisel “Best of the Best” award. All of Marks books have been optioned for film, and he also wrote the script for an original short, Dreamweavers. Mark is widely loved for his tireless work running critique sessions at writers conferences—often staying up to the wee hours to make sure every writer gets the chance to read and field full feedback. *After Mark’s interview are instructions for entering today’s Free Partial Edit Giveaway. For me at least, the use of word processors pretty much destroyed the meaning of the word “draft.” Back in typewriter days I did about four drafts of each novel…now I write 30 or more versions of some portions, and five or six versions of other portions. I insist that there’s a correlation between quality and all the extra dinking around. I insist, I tell you! The one I’m satisfied with. I always prefer to give an editor as little work (i.e., interfering) to do as possible. “Partners?” No, no, no. I belong to a read and critique group with which I share portions of the work to see if it’s doing what I want, but I never share even slightly rough material and I don’t seek out advice on how to “fix” something. I don’t believe in writing by committee. I never did strike that balance; I usually wanted to strike the person I was writing for. So I don’t ghostwrite anymore. My current novel features an organism that is alive but does not become conscious or self-aware until a third of the way through the story. I shuffled through two dozen openings before I realized that conscious or not, the organism needed its own point of view in order for the book to work. Getting there was a difficult but in the end very satisfying process. Thrown out 75 pages of stuff I originally thought was essential. Big lesson there…. There’s no other way to put it: the story feels done. Deadline: MIDNIGHT tonight, March 9, 2012, PST. Winner will be randomly selected using Randomizer.org and announced on March 10, 2012, in the DearEditor.com comments section and on the DearEditor.com Facebook page, and the winner will be notified directly via email. Congratulations to Amy Cobb, winner of yesterday’s Free Partial Edit Giveaway with her middle grade novel. Amy, I’ll email you with the details. Good luck to everyone with today’s giveaway! Congratulations, Amy!!! This has been such a terrific week of interviews! Tried earlier to post and Captcha caught me a net of letters I could not decifer. sigh. So I try again. The ghostwriter comment cracked me up. Perhaps one needs to be a saint to take up that job. And I am awed that you tackled a POV character that had no consciousness. What a challenge! Sorry about that Captcha code, Patricia. Sometimes they can be doozies. I’d like to find a way to see codes that are a bit easier to read. I agree–I wish they’d stop the letters that run up against one another. Captcha sometimes is impossible. But whenever I take it off my site, I get spam, so it stays. Haha! “Writing by committee”–I love that. And can relate. Often people share their work way before it’s ready, and want suggestions on how to make it better rather figuring it out for themselves. It’s almost like co-writing, or as you say, “writing by committee.” I think it’s kind of a crutch for some writers. I don’t usually show my critiquers my novels until I’ve completed at least the first draft, through to the end. I’ve still gotten invaluable feedback for change (things I hadn’t even thought of), but I like the creative process of working through the major bumpies and plot points myself. As one of the very few YA Horror writers, I’m in awe of all Mr. Clements’s awards. It’s inspiring, and I really appreciate hearing about how he works. 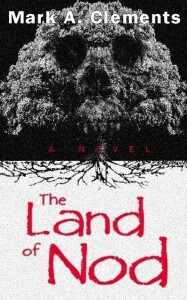 Thanks for proving the Horror genre can produce top level literature! Interesting that most of the interview candidates do not share with a critique group per se. Only portions with beta readers. I consider the members of my critique group to be my beta readers. Maybe this is just semantics? Thank you for your time, Mark. I found it very interesting that you only share parts of your work and nothing rough. I also found it helpful that you found yourself eliminating 75 pages in one of your drafts. It’s those kind of tidbits that I find so helpful along my own writing path. I’m so glad to hear that I’m not the only one who skips the critique groups. I was beginning to feel that I was doing something wrong.